Faced with overwhelming evidence of our interrelatedness, from our bodies to our environment to our sociopolitical behaviour, we no longer have a choice other than to broaden our approach as we address the world’s growing crises. New Dialogues promotes the out-of-the-box thinking that is required if we are to find systemic and long-term solutions. The reorientation of design to focus on its consequences blurs all the neatly separated categories, such as agriculture, construction, energy, healthcare, industry, land use, policy-making, resource consumption, transport, waste, etc. 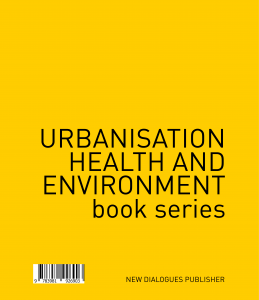 The institute’s publication book series Urbanisation, Health and Environment was established in 2017.